It is important for the militants of the Greater Europe to possess a philosophical background which enables them to build or comfort a proper Weltanschaaung. One important understanding, we believe, is the antagonistic relationship between the philosophie des Lumières and the (neo) romantic movement. The latter was embodied by a lot of different thinkers and writers, most of them being German. Some of us would think that Friederich Nieztsche would represent the zenith of this movement, whose ideas would consist of a « surhumanism », as per the Italian thinker Giorgio Locchi’s writtings. For sure Nietzsche is a good start so to speak and he obviously influenced and will influence a lot people out there. Thinking of Nietzsche’s heirs, the names of Oswald Spengler and Ludwig Klages immediately come to mind. If the first one became famous with his Decline of the West, Ludwig Klages remains quite unknown to some. 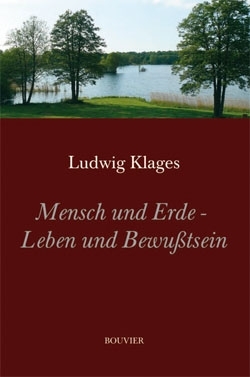 Ludwig Klages was a one-of-a-kind brilliant man who is firstly known for his graphology work. But it is his philosophical work especially which deserves our attention. In fact, Klages belongs to what used to be called Lebensphilopsohie, a term that applies to Nietzsche’s. One thing they share is this dionysiac view on life which is often called « biocentric » when applied to Klages’ philosophy. His anti-christianity is another common point with Friedrich Nietzsche, and the same goes for a genre of paganism, or pantheism, shared by both philosophers. Nevertheless, Nietzsche’s famous concept of Wille zur Macht (Will to Power), a concept often misunderstood, does not meet Ludwig Klages’ approval. Indeed, he considers it to be a spark which lit the fire of modern technician craziness - working hand in hand with the worst kind of capitalism at some point. For if Klages is against capitalism, in a wider view, he is against liberalism in general. One important criticism he addresses to both technician and capitalist systems is the destructive effect they both exert on nature. Ludwig Klages is to be considered as a pioneer of ecology. In 1913, he delivered a speech which was later turned into a small book called Man and Earth. In his speech, Klages foresaw the future devastation caused by capitalism on nature such as the animal extinction, the alienation of the producer/consumer system and even mass tourism. This text must be read by any Right-Wing ecologist. 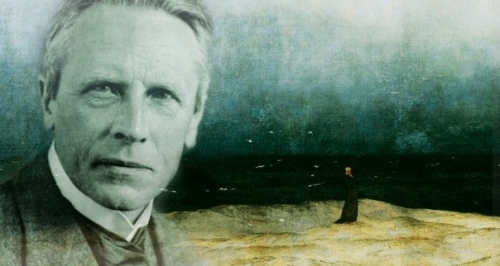 Thanks to Arktos, glimpses of Ludwig Klages work are now available to the public in English in the form of two books. The first one - entitled Ludwig Klages The Biocentric Worldview - consists of a collection of selected texts which stress the author’s biocentrism. The second one - Ludwig Klages Cosmogonic Reflections - is a collection of aphorism. Both books contain foreword by Joseph D. Pryce who excellently introduce the reader to Ludwig Klages. The reading of Ludwig Klages texts completes those written by Nietzsche and Spengler in a poetic manner typical of Germany’s best authors.